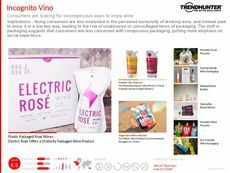 Find Better Ideas, Faster ® with a custom wine packaging trend report, our PRO Dashboard and 80+ categories of premium trend reports. 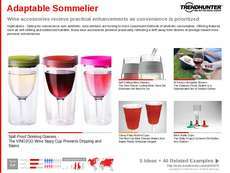 The Wine Packaging Trend Report provides the most current trends in how wine is packaged, designed and delivered to consumers. Rather than focusing only on the product, brands are shifting their attention toward making attractive and eye-catching packaging designs. 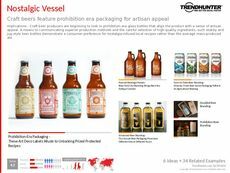 This report explores how the aesthetic of bottles and packages influence consumer purchases. 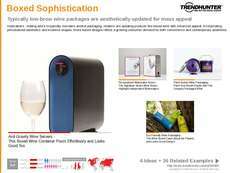 Those involved in creating beverage and alcohol packaging can benefit from Trend Hunter's Wine Packaging Report. 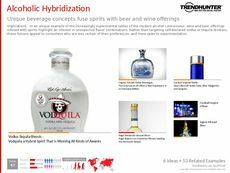 Graphic designers, industrial designers and alcohol brands and retailers can all utilize this report. 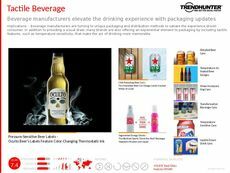 Gain a thorough understanding of wine packaging trends with Trend Hunter's report, and fully understand the depth and breadth of this industry.